The Conservatives’ marathon vote protest got an added boost this morning with Jane Philpott’s interview in Maclean’s magazine in which she says there’s “much more to the story” when it comes to the SNC-Lavalin affair. The House of Commons is engaged in a marathon voting session that has kept MPs close to their seats overnight. 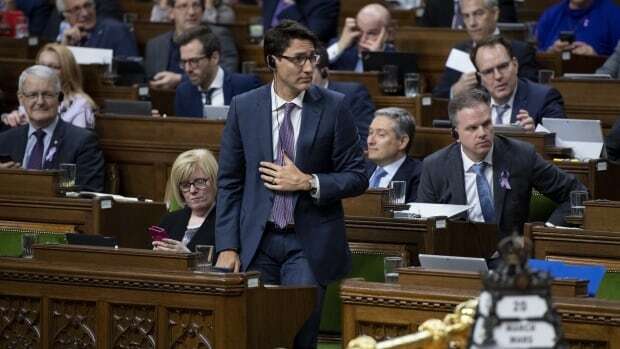 The Conservative Opposition triggered the vote after the Liberal-dominated justice committee shut down further investigation into the SNC-Lavalin affair. The round-the-clock voting got underway around 6 p.m. ET Wednesday and hasn’t relented. On Thursday morning, the magazine’s interview with Philpott, who stepped down from cabinet earlier this month, sent ripples through Ottawa. Last week, upset with the government’s handling of the SNC Lavalin affair, the Tories put forward 257 separate motions to oppose specific proposed funding allotments in the supplementary and interim estimates, two pieces of legislation now being debated in the House of Commons. Now is normally the time when government MPs fan out across the country to sell their constituents on a new budget. But because each of these votes deals with fiscal matters, they would be considered votes of confidence. On Wednesday, the Conservatives put forward a motion calling on the government to have the Commons “take note” of Wilson-Raybould’s comments about the SNC-Lavalin affair, and asking the prime minister to waive solicitor-client privilege to allow her to speak publicly about the January cabinet shuffle.